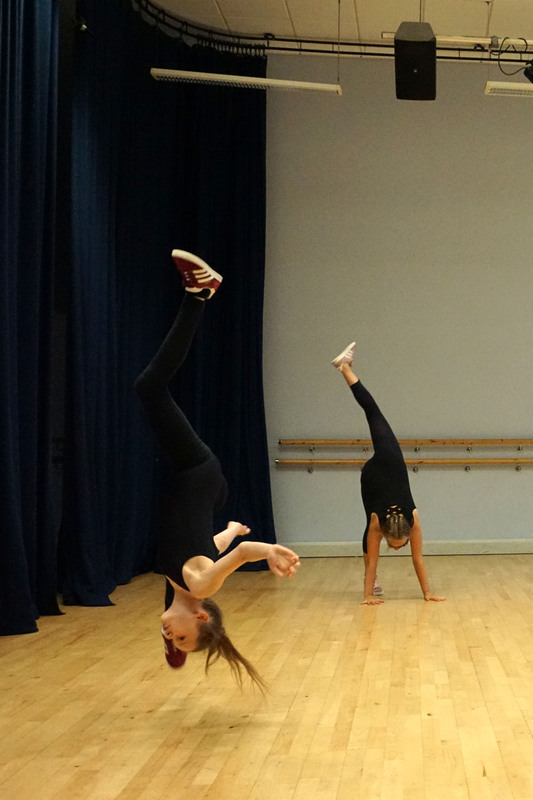 Last Wednesday we had the ‘Dancing the Universe’ workshop. 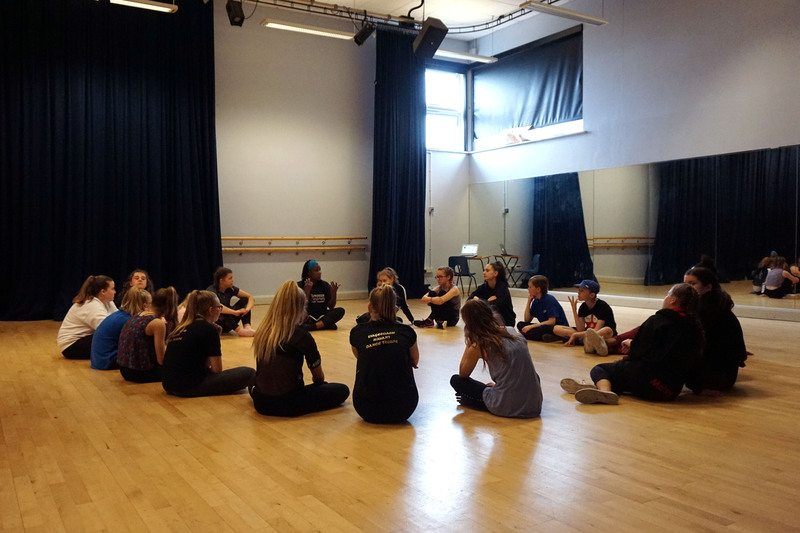 17 young people between the ages of 11 and 15 went to Priory school, Portsmouth, to learn about space and how to create space-themed dances. 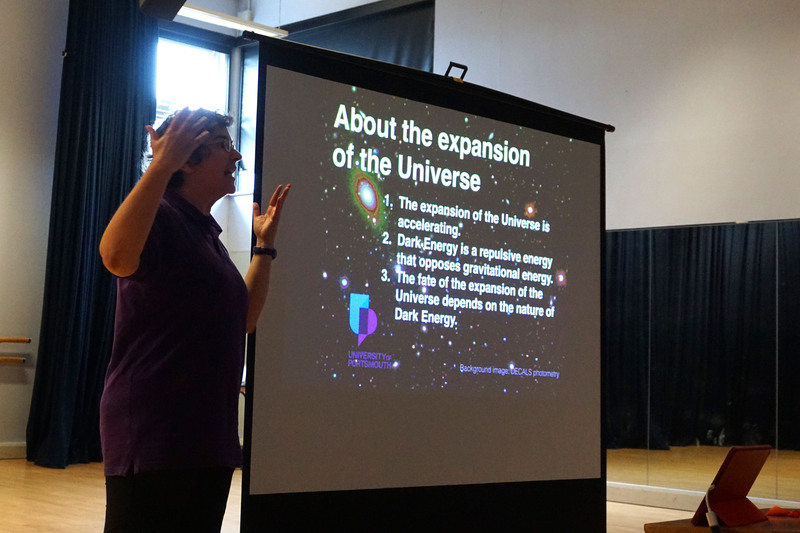 Dr. Violeta Gonzalez-Perez, from our institute, talked about Gravity, Galaxies and the Expansion of the Universe. Professional dancer Grace Hall, from the Neptune Girls, provided a short choreography and from there, the students started modifying and creating their own interpretation of the science topics, helped by the creative tools that Roni Edwards, from Padmozi creations, gave them. You can read further about this event in the 2 press releases that the University of Portsmouth issued: one before and one after the workshop. Paul Carter, one of the PhD students at the ICG, documented the day with some great photos that you can see here. Alex Fountain recorder the event and is busy producing a video of the final dance and about the day. This will be shown the 16th July for those that attended this event and those that have made possible this project to come to life. We got a lot of help from different people from the ICG, but also from the Outreach department in the University. This event was sponsored by the Royal Astronomical Society and the University of Portsmouth.